One of India's finest actors, Om Puri, died in Mumbai on Friday, aged 66. Film writer Aseem Chhabra believes he never got the recognition he deserved. 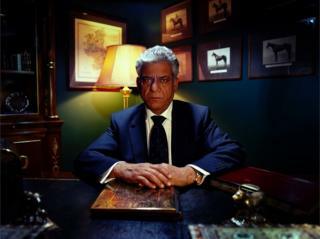 In 2007 Om Puri played a significant supporting role in Mike Nichols' Charlie Wilson's War: portraying a near-perfect Pakistani president Zia-ul-Haq. In one scene he spoke in a delightful Punjabi accented English and cautiously suggested to Charlie Wilson, a Congressman from Texas played by Tom Hanks, that covert aid to the mujahideen, fighting the Soviet occupation of Afghanistan, should pass through the hands of the Pakistani government. I wanted to write something on this terrific actor, one of the few from India who straddled so many film spaces - from Bollywood to Indian art house indies, British Asian immigrant stories and big Hollywood productions. But the publicists for the film and even the studio Universal Pictures informed me that they had no images of Puri. Sadly this amazing actor had left no impression on the publicists who were mostly focused on promoting Hanks and his co-star Julia Roberts. Puri acted in over 300 film projects in India and abroad, and yet he did not get the kind of recognition that he surely deserved. He won two National Awards in India in the acting category (Arohan, 1982 and Ardh Satya, 1983), and was recognised at a number of film festivals, including a lifetime achievement medal at the prestigious Telluride Film Festival. He was even nominated for a Bafta film award in 2000 for playing the lead in Ayub Khan Din's autobiographical British film East is East. But unfortunately in the last decade or so Puri, the actor, was largely forgotten in the West and even in India. He did play one last big role in the West - that of an Indian chef in a remote French town in The Hundred-Foot Journey (2014), opposite a feisty Helen Mirren. It was a rare moment when Puri was suddenly, albeit briefly, the focus of a film produced by Steven Spielberg and Oprah Winfrey. While promoting that film, Puri told me that Hindi cinema mostly concentrated on younger, good-looking actors. And the industry had relegated him to roles of the father of a lead actor or a police officer. He was rarely offered meaty roles, he complained. He was always hungry for more challenging work and recognition. In another interview while promoting East is East (1999), Puri told me that his big regret was that he would never get the kind of roles given to Dustin Hoffman and Robert De Niro. But Om Puri was as great an actor as Hoffman and De Niro. In fact, one can say he was even better, given the number of films he acted in and the range of his performances. His comic timing was perfect and we can see that in the cult classic indie Jaane Bhi Do Yaaro (1983) and later on in Vishal Bhardwaj's Maqbool - a modern-day take on Macbeth, where Puri played one of the witches, along with his colleague and friend Naseeruddin Shah. Also in the same time period he played a sleazy photographer in Shyam Benegal's Mandi (1983). He was the voice of an angry, frustrated cop in Ardh Satya (1983), but was equally charming and seductive with his co-star, the late Smita Patil. And in Aakrosh (1980) he was the oppressed peasant who barely uttered a word. Puri became one of the first Indian actors of his generation to crossover to the West with his work in British films - East is East, its less successful sequel West is West (2010), the rarely seen Brothers in Trouble (1995), the Hanif Kureishi scripted My Son the Fanatic (1997), and the mini-series White Teeth (2002), based on Zadie Smith's bestseller novel. That was a time when nearly every Indian or Pakistani role in a British production was offered to Puri. Hollywood came calling as well. Mike Nichols also cast him in an important role in Wolf (1994) where Puri shared screen time with Jack Nicholson. And earlier Roland Joffé cast him in a supporting role in City of Joy (1992). 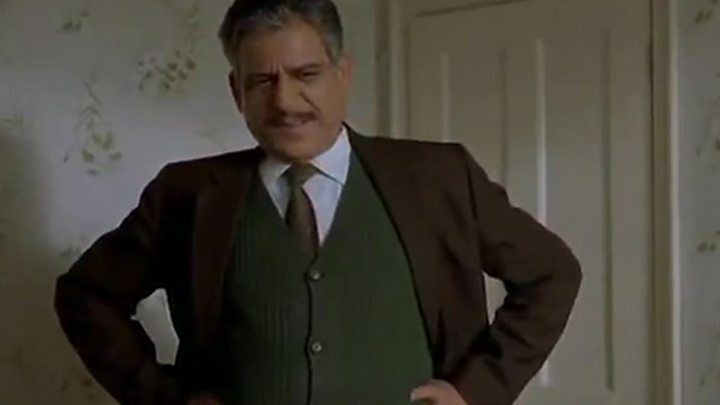 In 1994, Ismail Merchant cast Puri as a hapless college professor who sets out to interview an ageing and overweight Urdu poet (Shashi Kapoor) in In Custody, based on Anita Desai's Man Booker Prize shortlisted novel. Puri was perfect in the film, displaying his frustration as he observed the decline of Urdu language and poetry. But it is the sad reality of the film business, that talented men and women find it harder to get juicy roles as they get older. And Puri had to face that fact. Om Puri died too soon. But he has left a huge body of work reflecting his four decades as a film actor. He should get the most attention that a master actor of his stature deserves.